Jemisin has created an extraordinary trilogy that is original, captivating and emotionally powerful. The Stone Sky going onto my favourites shelf is a reflection of the brilliance of the entire trilogy. This concluding volume is a stunning culmination of an ambitious narrative which defies convention and elevates the genre of science fiction fantasy to literary standards as far as I am concerned. Science fiction and fantasy can be such powerful allegorical narratives of the world in which we live One simply needs to apply a bit of imagination to appreciate its literary value. Broken Earth serves as an excellent metaphor of the arrogance and cruelty of mankind as well as its treatment of our beautiful planet. The extreme prejudice and discrimination displayed by the people of this world against those different from them resulted in some truly disturbingly dark scenes. We also have the parallelisms of the hubris of humanity as technological progress and breakthroughs in science, specifically neurology, medicine and genetical engineering, bring us closer to perceived godhood. We should not forget that the planet has been in existence for billions of years before humans walked the earth and we were far from being the first form of life as well. We should also not forget that should we in our arrogance and impatience destroys the delicate balance of the environment that supports human life (resulting in what could be like a fifth season), we only serve to annihilate our species, but the planet will remain for billions of years more. The story continues with the three-part perspectives of first, second and third-person of the narrator, Essun and her daughter, Nassun, respectively. For those who still do not take too well to the second-person perspective, I would say that there is a tremendous payoff for persevering till the end. Frankly, I have only one word to describe the revelation which started to dawn on me halfway through the book - genius. The characterisation is so compelling and realistic that as much as I felt empathy for Nassun, I was annoyed with her immaturity and childish fancies. As for Essun, what more can I say, except that her second-person POV made me live, think and feel as she did. The use of the pronoun 'You' was almost strangely really powerful and immersive for me. 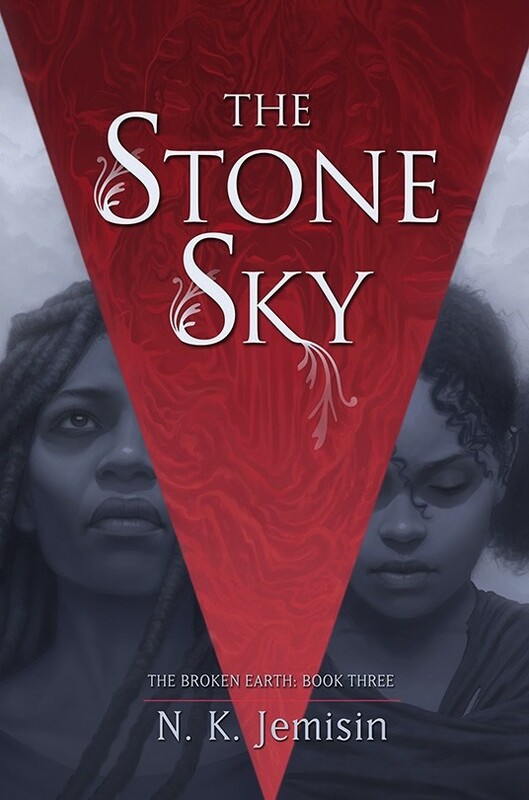 The Stone Sky concluded Essun's story from whence it took off in The Fifth Season as she went off in a desperate search for her daughter. Arising from this arc is a powerful story of motherhood and the extent of a mother's love for her children. Jemisin clearly poured her heart and soul into these books, and this comes out very clearly in the Acknowledgements. Please, readers, I implore that you read Jemisin's parting words at the end of the book as it is beautifully moving and the entire story of Essun and Nassun will resonate even more keenly in the depths of your emotions. Cover for Subterranean Press edition. So nuanced yet so perfectly encapsulates the story of Essun and Nassun.